This winter Dominion Virginia Power promised Governor Terry McAuliffe it would build 400-500 megawatts (MW) of utility-scale solar power in Virginia by 2020, part of the deal it cut to gain the governor’s support for a bill shielding it from rate reviews through the end of the decade. The company also took a welcome first step by announcing a proposed 20-MW solar farm near Remington, Virginia. 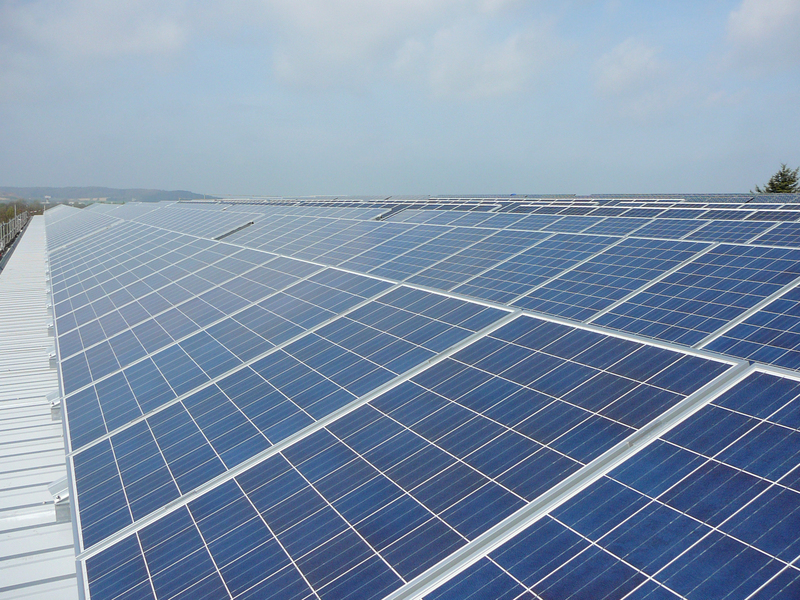 The applause had hardly died down, though, when Amazon Web Services announced it would be building a solar project in Accomack County, Virginia, that will be four times the size of Dominion’s, at a per-megawatt cost that’s 25% less. Why such a big difference in cost? The way Dominion chose to structure the Remington project, building and owning it directly, makes it cost more than it would if a third party developed the project, as will be he case for the Accomack project. That means Dominion is leaving money on the table—ratepayers’ money. There is nothing wrong with the Remington project otherwise. The site seems to be good, local leaders are happy, and solar as a technology has now reached the point where it makes sense both economically and as a complement to Dominion’s other generation. But by insisting on building the project itself, and incurring unnecessary costs, Dominion risks having the State Corporation Commission (SCC) reject what would otherwise be a great first step into solar. And that’s a crying shame, because solar really is a great deal for consumers these days. Utilities now regularly sign contracts to buy solar for between 4.5 and 7.5 cents per kilowatt-hour. Compare that to the 9.3 cents/kWh cost of electricity produced by Dominion’s newest coal plant in Virginia City, and it’s no wonder that solar is the fastest growing energy source in the country. Utilities get those rates by buying solar energy from solar developers, not by playing developer themselves. From the ratepayer’s point of view, developers have three advantages over utilities: they are experts at what they’re doing, they work on slimmer profit margins, and they get better tax treatment. Dominion loses all three advantages if it builds the Remington solar farm itself. Dominion has already demonstrated its lack of solar knowhow. In a May 7, 2015 filing with the SCC (case PUE-2011-0017), it admitted its “Solar Partnership Program,” which puts solar on commercial rooftops, is a year behind schedule and will total less than 20 MW of the 30 MW legislators wanted. Previously the company had told stakeholders it would likely hit its $80 million budget limit with only 13-14 MW installed. As for profit margins, Dominion gets a guaranteed 10% return on its investments. This explains its desire to build solar itself, but it’s hard to justify charging ratepayers a 10% premium when there are cheaper alternatives courtesy of the free market. Unlike Dominion, solar developers have to compete against each other, so they accept much slimmer profit margins. And then there are the tax implications. A third-party developer can claim the federal 30% tax credit immediately, and can take accelerated depreciation on the cost of the facility over five years. A utility has to take both the tax credit and the depreciation over the expected life of the facility, 20 years or more. These three factors—knowhow, free-market cost competition, and tax implications—add up to huge savings for consumers when a project is put out to bid by third-party developers. Just how big the savings could be is clear from a comparison of Dominion’s solar farm with Amazon’s project, to be built by a third-party developer. Dominion says Remington will cost $47 million for 20 MW, or $2.35 million/MW. Amazon’s project is reported to cost $150 million for 80 MW, or $1.875 million/MW. That is a difference of about 25%. Obviously, then, the better way to finance Remington is for Dominion to put the project out for competitive bid among solar developers. Dominion won’t make as much money for its shareholders, but it will save money for ratepayers. And really, as a member of the American Legislative Exchange Council (ALEC), Dominion ought to jump at the chance to live up to ALEC’s “free markets” mantra. More to the point, keeping costs down this way will make it possible for the project to get SCC approval, opening the way to many more like it. With hundreds of megawatts still to go, Dominion needs to show it can do solar right. In fact, Dominion should put out a request for proposals for the full 400 MW it says it plans to build. This could include revisiting its refusal to buy power from another proposed solar farm that went nowhere. That solar facility in Clarke County, proposed by OCI Solar Power six months ago, would have added another 20 MW to the grid. With only a year and a half to go before the 30% federal tax credit drops to 10%, Virginia ratepayers have a right to expect many more solar farms, and soon. Frustration over Dominion’s slow pace is widespread among solar advocates. Cale Jaffe, Director of the Southern Environmental Law Center’s Virginia office, noted, “Last General Assembly session, Dominion committed to building 400 megawatts of utility-scale solar projects in Virginia by 2020. The General Assembly then passed, at Dominion’s urging, legislation declaring up to 500 megawatts of new solar projects to be in the public interest. But, unfortunately, Dominion appears to be getting out of the blocks very slowly when it comes to solar power. I’m concerned that the company is not currently on pace to live up to its pledge.” SELC has intervened in the Remington case on behalf of environmental groups Appalachian Voices and Chesapeake Climate Action Network. Of course, we also need solar from all sources, not just our utilities. Homeowners, small businesses, nonprofits, and big industrial customers—all should be encouraged to build solar as a matter of the public interest. Solar diversifies our energy base, creates local jobs, strengthens the electricity grid, and will help Virginia meet the EPA’s Clean Power Plan. Even 500 MW of solar pales compared to the 4,300 MW of new natural gas plants Dominion expects to have built by 2020. When you adjust for capacity factors, in 2020 solar will make up less than five percent of Dominion’s power generation from new projects, and barely a blip on the radar screen of total generation. While sad, this is hardly news. Virginia famously lags behind neighboring states in developing solar resources. Maryland had 242 MW of solar installed at the end of 2014 and expects to meet its goal of 1,250 MW by the end of 2015. North Carolina has over 1,000 MW and counting. The same source puts Virginia at a grand total of 14 MW. Getting serious about solar means opening our market to competition. Attracting more projects like Amazon’s will require the General Assembly to pass legislation removing all barriers to third-party power purchase agreements. Amazon’s solar farm has the advantage of being located on the Maryland border. It will feed into power lines owned by Delmarva Power, and then into the PJM transmission grid serving the multistate region that includes Virginia. It will not serve Amazon’s data centers in Virginia directly, but will simply offset their power demand. If Amazon or anyone else wanted to put in a similar solar farm elsewhere in Virginia, they would run into restrictions on third-party power purchase agreements and the absurd terms and conditions imposed by our utilities even on large corporate customers. Tearing down the barriers that prevent the private market from building solar is critical to closing this gap. Dominion made a half-hearted effort to serve big customers, in the form of its cumbersome “RG tariff.” The fact that no one has used it, and Amazon has done an end-run around it, proves how worthless it is. Virginia should put an end to utility red tape, open the market to competition, and let the sunshine in. The State Corporation Commission will hear arguments on the Remington proposal starting at 10 a.m. on July 16, 2015 at its offices in Richmond. The case is PUE-2015-00006. This entry was posted in Renewable energy, Solar and tagged Accomack, ALEC, Amazon, Cale Jaffe, Dominion Virginia Power, PUE-2015-00006, Remington, SELC, solar, State Corporation Commission, Terry McAuliffe. Bookmark the permalink. Then there is the plan Dominion has for two (!) offshore wind turbines. Constructing the cabling for just two turbines seems like buying a tractor trailer truck to deliver a dozen loaves of bread. Dominion could learn some lessons from Green Mountain Power in Vermont on treating its customers as partners rather than as meters. See “Power To The People”, The New Yorker, June 29, by Bill McKibben. It appears a real change in attitude will be required for there to be any real progress in the Commonwealth. Thank you for all of your posts and insight.